It's Saturday; and that means the Bob W3BBO and I had our weekly "BS Session" via Echolink. This is how we've kept in touch since Bob moved from New Jersey back to his home of Erie, PA. Today's conversation waxed a bit nostalgic about the changes we've seen in technology in just our lifetimes. Take me, for instance. My earliest memories go back to when I was around three years old, which would be 1960 or so. I remember President Kennedy talking about missiles in Cuba. That was on an old RCA black and white TV. The TV screen itself was small - the same size or perhaps even smaller than the screen of the netbook that I am using to type this! The TV cabinet was huge! It was considered a piece of furniture. When the TV broke, the TV Repairman would come to your house with a traveling case of tubes; and he would replace as many as necessary until the TV worked again. TV programming ended around midnight with a picture of the American Flag flapping in the breeze while the National Anthem played. After that, all that you could see on the TV screen was a test pattern until programming resumed the next morning with the "Agricultural Report". Yep, back then most of New Jersey and Long Island were still rural, agrarian environments. When you turned the TV off the picture would dissolve down to a little white dot that glowed for a while, until it too, disappeared. As a kid, I also remember the fuss when your parents would buy you a new transistor radio, one that could fit in your pocket, used batteries, had no tubes and didn't have to be plugged into a wall socket. Of course, the more transistors the better and a lot of the radios listed on the case how many transistors, diodes, etc, were inside. "Hey Jimmy, that puny radio you have has only 5 transistors - mine has 7! Nyah!" We were so hi-tec! In 1967 we got our first color TV set. May aunt and uncle who lived next door to us had one for years, but I'll never forget the thrill. Hey, who would have thought that the Robot on "Lost in Space" had red claws! Even in those days, TVs were still considered to be furniture and the TV repairman came to your house to fix them. There were, however, a new breed of TVs - portables, that were coming of age. You could plug one of these just about anywhere as they had their own rabbit ear antennas attached and they also had a handle that you could use to carry them around. Telephones were big, bulky things with a rotary dial that hung on the wall. Desk phones were popular too, and in the mid to late 60s we no longer had "party lines". There was a time that you could pick up your telephone's receiver only to hear another conversation taking place on the line. You had to wait until the conversation finished before you could "dial" someone up. When my dad did our income taxes, he brought home the big adding machine from the store. It was heavy, noisy Victor brand machine that rang a bell when it delivered a total. I still remember my dad using it on our kitchen table and me being able to hear the machine doing its adding thing all the way up in my bedroom on the second floor. I bought my first calculator when I was a sophomore in High School back in 1973. I bought it at JC Penney and I remember distinctly that it cost $50. For all that money you got a device that could add, subtract, divide and multiply and it had a red LED display that was barely visible in the bright light. And that was it. If you wanted more functions you had to buy one of those fancy Texas Instruments scientific calculators that cost MUCHO bucks. I also remember that calculators were verboten in chemistry class. Slide rules ruled the day! In math class we were hooked up to a mainframe computer at Rutgers University. We had an old RTTY type teletype terminal that we used to write and test simple BASIC programs. I remember having to insert the telephone handset onto an old style acoustic modem in order for us to be hooked up to the mainframe. The computer game of rage was "Hunt the Wumpus". I also remember teachers telling us that computer programming was the new wave field of the future. If only I had listened! Today we have telephones that fit in our pockets, electronic devices like TVs that have become so inexpensive to manufacture that we throw them away when they break; and we buy new ones. We have "personal" computers that make the computer in the Lunar Module that landed the men on the moon look like an abacus in comparison! We've come so far so fast. It makes you wonder what things will be like in the next 50 years and if the vaunted technology that we have today will look like "sticks and stones" in comparison. So far, K6JSS has been active in the states of Connecticut, Hawaii, Georgia and Texas. Next up, beginning at 00:00 UTC Monday will be Kansas. Of course the goal is to activate all 50 States this year. And to that point, Ken Evans W4DU, the president of QRP-ARCI posted these points this past week on QRP-L.
1. A valid contact is considered an exchange of signal reports - QRP ARCI numbers are not required nor are QTH/Name/etc. But we suggest RST + QRP ARCI number or power out if not a member. 2. You can "claim" the K6JSS QRP ARCI number even if it is not exchanged. 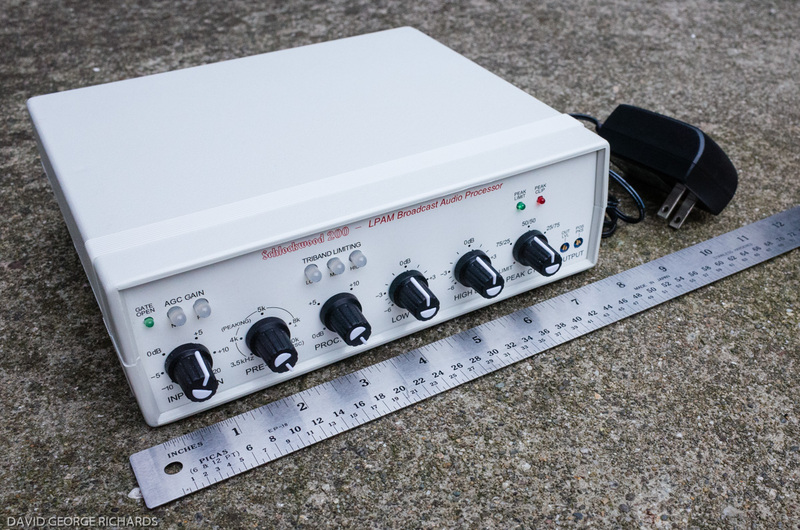 We all will know pretty quickly, if not previously, that it is QRP ARCI #1. If you don't know your QRP ARCI number, go to http://qrparci.org/ and click on "Member Lookup". Enter you call and your number will be displayed. If you are not a member, you can exchange power out in lieu of a number. Of course you can also join at http://www.qrparci.org and receive a number! 4. At the end of the year, special certificates (different from the QRP All States award) will be issued to any amateur confirming QSOs with K6JSS in 20 or more of the 50 states of the USA while running QRP. Endorsement certificates are issued at 30, 40 and 50 states confirmed. QRP ARCI awards do not require QSLs with the application for an award. Just a list that you prepare certifying that you worked the stations listed for the award and GCR - General Class Review of 2 General Class or higher amateur friends of yours. You can down load the GCR form on the qrparci.org site. This approach will be used for the Golden Jubilee Award. We are encouraging K6JSS operators to work as many modes and bands as possible. Check QRP Spots (http://qrpspots.com/ ) often to determine who is on. With propagation such as it is, working all 50 States worth of K6JSS stations will be a challenge. It's nice to see that QRP-ARCI will offer a certificate for a minimum of twenty states worked. As a confirmed paper chaser, I will do my best to work as many as I can in order to get one of these certificates to hang on my shack wall. This guy needs a life! Unfortunately, I know a guy or two like him. He'd better get rid of all the sharp, pointy objects from the house ...... fast! I love trains, I really do! But I sure wish the "Arctic Express" would find a different destination. We're looking forward to return trips tomorrow night and possibly a huge layover next Tuesday. Whew! These were taken as a result of the visit we received last night from the "Alberta Clipper". Snow is a 4 letter word! We've gotten about 4 - 6 inches so far today. Right now, it's freezing rain and sleeting. In the next hour or so, the muck is supposed to turn back to heavy snow. About another 10 inches or so by the morning. Eegads! Add to the muck the fact that we've also been experiencing some on and off thundersnow throughout the evening. Nice touch! On the bright side, in between bouts of thundersnow, I did eek out a QSO with John AE5X as K6JSS/5 tonight - and I really do mean eek out. It was tough. John was 449 here on 7.111 MHz; but the QSB was a wild, untamed beast. John would go from a very copyable 449 to ESP in milliseconds, and then back up again. Definitely like riding a roller-coaster. We exchanged RSTs and really not much else except very brief greetings and salutations. I am listening to him now as he slid up to 7.1115 MHz to avoid some QRM. He's calling CQ over and over - he needs some takers! I have to thank John for his very fine pair of earbones, that he was able to pull my QSB signal out of the aether. John and his K3 - a very good combination! It's nomination time! Do you know of someone you think is deserving? I do and I think I will send a letter of nomination (again). I've nominated this person about three times now - maybe if they get tired of hearing from me, said person will finally be considered. Well, it's worth a shot, anyway. Now is the time of year for the call for nominations for election to the QRP-ARCI 'QRP Hall of Fame'. You can submit either real mail or internet nominations but they must include the following information. Name & Call of person making the nomination. A full description of why you think your nominee should be in the QRP Hall of Fame HoF). Remember the voting body may not know this person and you must convince us the person is worthy. Things such as "John Doe is a great guy and always helps out at the club" will guarantee they will not be admitted. Be specific in your recommendation and try to persuade us as to why your person should be in the HOF. The voting body consists of the QRP ARCI Board of Directors, the President, the Vice President and the eight most recent members of the HoF. Nominations may be submitted by anyone, whether a member of the QRP ARCI or not. 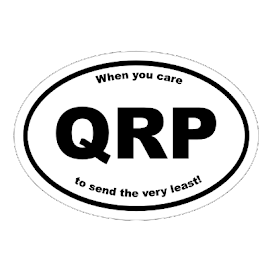 Similarly, membership is not required for someone to receive the honor, since this is an award to recognize those who have made great contributions to the QRP community, not just to the QRP ARCI." requirement that we will have an induction each year. The closing date for nominations is March 1, 2011. When a nomination is received, a confirmation e-mail or letter will be sent to the person making the nomination. If you nominate someone and do not receive a confirmation, we did not receive it. You will need to receive a confirmation to insure your nominee will be considered. I tried working John AE5X who was doing a stint on 40 Meters tonight as K6JSS/5. No joy. I saw him post himself on QRPSPOTS around 00:30 UTC and tried answering his CQs for about a half an hour. He was about 229 - 339 in NJ with plenty of QSB; and since he didn't hear me - I guess I was even less on the flip side! The good thing is that there's still plenty of time to get K6JSS/5 in the log. I will keep trying every night this week and even during the day this coming weekend if time allows. I'm thinking that at night, it might actually turn out that 80 Meters might be my best shot. The band has been soooo noisy here this winter, though. If K6JSS/5 were to call CQ on 80 Meters, they might have to be 569 or better for me to even hear them in the muck that I am witnessing. A few years ago, the band was so quiet that a decent signal stood out like a beam of light in the darkness. Even the weak ones were easy to 'bear down" and listen for. This year the band is full of loud, whooshing background noise; and weak signals are just getting sucked up in the soup. However, the fun is in the challenge; and I think that Texas this week just might be a good challenge. There's nothing more satisfying than meeting the challenge and mastering it. If it were easy, it would be boring and not as satisfying. That's what QRP is all about. Cold again today. Last night, the low (as per my trusty Radio Shack digital indoor/outdoor thermometer) was 4F (-15C). This was the coldest I think I've ever seen it here since we moved to South Plainfield. That said, it's tough for it to reach 0F or below 0F in these parts. After all, we are only about 10 miles or so as the crow flies from Raritan Bay / the Atlantic Ocean, and that huge drop of water tends to keep the air warmer than destinations inland. Accuweather.com is still calling for 6 - 8 inches of wet, heavy snow later this week, but the dire predictions of a blizzard have seem to have eased. I spent some time cruising the Web today and was visiting Rex W1REX's site - QRPme Can it! If you can't find something interesting to build from the plethora of kits that Rex offers, well ...... then I am not sure what to say. Personally, I am thinking of ordering the QRP Pocket Pal, and the Picaxe Hatchet Kit. Rex offers a bunch of really neat things that look extremely "do-able" for even the novice builder. I have been reading with interest, an e-mail thread that has been on the Butternut antenna e-mail list. It seems a recent antenna purchaser out in the mid-West has been nervous about his Butternut being able to withstand the high winds and harsh winter weather out there. I have had my Butternut HF9V for about 10 years now. It has been through several hurricanes, Nor'Easters and even a few blizzards with nary an incident. Back when I lived in East Brunswick, I had an "other" brand vertical (for comparison, both antennas were ground mounted - the Butternut is not guyed, the "other" brand was guyed - both are the same approximate height). That "other" brand antenna gave me agita whenever there was bad weather. Even during normal summer thunderstorms, that stick would sway like a hula dancer on amphetamines. And during winter ice storms? ..... that antenna outdid the best limbo dancers I have ever seen. While it never broke, it was a constant source of heartburn. The Butternut, on the other hand, has been a "set it and forget it" type of deal; and I would recommend the HF9V to anyone. K6JSS leaves the state of Georgia tonight and heads for Texas. Texas has always been an easy grab for me. Now that I am looking to make a deliberate QSO, I'm sure it will be as elusive as the Holy Grail. That's what you used to yell as a kid, when someone was beating you at something, whether it be a game or a fight. "Uncle!" meant that you had had enough. Winter - 2010/2011 ........... "Uncle!" I have had enough of winter one month into the season. It's currently 8F (-13C) outside and it's around 9:42 PM local time. Usually the low for the night will occur around 2:00 or 3:00 AM. 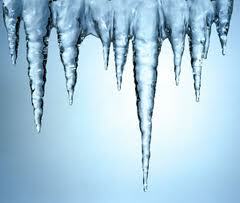 The forecasted low temperature for tonight is supposed to be somewhere around 1F (-17C). And Accuweather.com keeps brightening my weekend by talk of another blizzard coming Tuesday night into Wednesday. Lord, I hope they're wrong this time! I haven't been down the shack today playing radio, because it's just too darn chilly down there. The indoor thermometer I have placed there is currently reading 55F (13C). That's colder than places like TX or FL or CA get for FYBO! It's just not comfortable sitting down there for long stretches of time - even with a long sleeved t-shirt, shirt and sweatshirt on, in layers. And I don't want to plug in an electric heater down there only to drive up the electricity bill (and probably cause RFI, to boot!). I've been burning wood in the fireplace all day and have kept the thermostat for the furnace at 66F (18C). The main floor and the second story bedrooms are cool but relatively comfortable as opposed to the even cooler (make that cold) basement. When I was a kid, I never minded the cold. The older I get, the harder it seems to get. I guess I'm just a Florida, Texas or Arizona kind of guy at this point. After looking at QRPSPOTS one more time for the evening, I saw that K6JSS-4/W4QO had switched to 80 Meters. Always up for a challenge, I decided to give it a shot. Band conditions on 80 Meters did indeed prove to be a challenge and the QSO was much more difficult than the one on 40 Meters. After a few tries, Jim finally heard me and gave me a 339. I gave Jim a 559. I ended up finding that things worked best with the Butternut HF9V vertical, much to my surprise. Usually the wire works better on 80 Meters. This time the vertical did. Everything is topsy-turvy with 80 Meters this winter! By the way, this post is being done via the Kindle. Versatile lil' bugger! K6JSS/4 - in the log! QRPSPOTS is a wonderful thing! Jim W4QO posted his schedule for tonight; and I found K6JSS/4 exactly where and when he said he would be. After listening to Jim work a station in Omaha, NE, I gave him a call. I was awarded with a QSO and a 569 signal report. Jim was 579 during the QSO with Omaha and increased to a 589 during our QSO. Whoever thinks QRP signals can't be loud as all get-out is sadly mistaken! Even after all these years as a Ham, the way propagation works constantly amazes me. A few hours ago, I could barely hear K4BKD operating as K6JSS/4 - you'll remember that I noted the nearby Bulgarian station was louder. Let some time go by and things changed to the point where Georgia was its old "pipeline" self. This is another reminder of why one has to stick with it during the QRP Foxhunts. Band conditions can change dramatically in a very short time. Just when you think things aren't going to work - WHAM! The band changes and a QSO is possible. The steady, armchair copy of Mr. Jim Stafford was quite appreciated too. There's a very good reason why he was named "Amateur of the Year" last year and why he's a member of the QRP Hall of Fame. Jim is a dependable, "steady as a rock" operator. In fact, as I am typing this, I am enjoying listening to him work other stations. A great fist is a wonderful thing, and it's a pleasure to QSO with him - anytime! But this time was all the more sweet! The first three K6JSS Golden Anniversary states are in the log. It's the little things that keep this QRPer very happy! As I've said before - propagation, she is a crazy thing! I've mentioned before where K6JSS, the official call sign of the QRP-ARCI will be sent into the ionosphere from all 50 states this year, in honor of the club's Golden Anniversary. So far this year, the club call sign has been active from Connecticut, where I managed to work Ed W1RFI as K6JSS/1, and Hawaii, where I managed to work Max KH6MZ was K6JSS/KH6. This week the host state is Georgia and I have been having a devil of a time! 40 Meters is nice and quiet - but LOONNNGGGGG !!!!! For example, tonight I am hearing LZ2VU from Bulgaria much more easily that K6JSS/4. 80 Meters will probably be the "go-to" band; but has it been super noisy this winter! Regular readers of this blog will probably remember a few years back, where 40 Meters was useless to me as I had some tough local QRN problems on that band. For those couple of winters, 80 Meters was my oasis from the noise. I had great success operating and got quite a bit of success in the 80 Meter QRP Foxhunts. This year, everything seems to have been turned upside down. 40 Meters is the quiet band - but is extremely long. I'm having no problems working Europeans and out towards the far Mid-West and the West coast. But southeast towards Georgia and Florida which used to be a pipeline? Nada! Meanwhile, it seems that every time I go to 80 Meters, I am presented with a ton of background noise. 80 Meters is sounding a lot like I am used to hearing in July instead of January. The final push for K6JSS/4 from Georgia is tonight, tomorrow and Sunday. I am going to try like the dickens to get them in the log. I probably won't be lucky to work all 50 different K6JSS stations, but I am going to give it the old college try to work as many of them as I can. Besides, what else do I have to do this weekend? Not much as it's supposed to be deep freeze time. Both tomorrow and Sunday nights, the forecasted low temperature is supposed to fall below 0 degrees F (that's -17 C or colder) ! This afternoon, I had the opportunity to get in another shot with K6JSS/KH6 and decided to take it. Max KH6ZM was calling CQ without any takers; so I threw my call out and heard him come back to me. Max was only 339 into New Jersey this time; but we got the job done. It was interesting to watch some of the reports from other QRPers via QRPSPOTS.com I was able to see that Max also worked stations in CT, KS, and NH. If you are not familiar with this Website, then it's high time you did yourself a favor and checked it out. Put together by Terry WA0ITP (with whom I've had the great fortune to QSO with many times) and the 4 States QRP Group, it's a DX Summit kind of thing; but devoted to QRPers. In addition to spotting other QRPers that you've worked; or juicy DX stations that you've worked via QRP, you can spot yourself! This might go against the "purist" QRP blood flowing in your veins but I can envision a good use. Say, for instance, that you're packing your "Go Bag" and you're headed out for a mini-QRP expedition to a local park or trail by you. For the time and effort you're putting in - want to stack the deck in your favor? Spot yourself! That's right - announce the time and frequency that you will be working and just maybe you'll find some QRPers just waiting for you once you're on the air. After the Hawaii QSO on 15 Meters, I headed on down to 20 Meters and put out a CQ on 14.060. I was answered and greeted by Tony AD4TT from Daytona Beach, FL, where it was a balmy 62 degrees. That might not be so warm by Florida standards; but it's a might better than the high of 30 degrees that we're having here today! Tony was pumping 175 Watts into a Hamstick that he has mounted on a tripod on the top of his condo. Not able to put up a "normal" full sized antenna, Tony makes due with what he has and for our QSO anyway, it rewarded him with a nice 589 signal into New Jersey. Never underestimate the ingenuity of Hams. If we can find a way to pump RF into the aether, even under the most daunting circumstances, we'll usually find a way! A theme or idea that I have expressed over and over throughout the existence of this blog, is how I look fondly, back on my time spent as a Novice. Truth be told, technically I was a Novice for only about 6 or 7 months. In reality, even though I earned my General ticket and had the privileges, I was a Novice for a lot longer than that. And I look back on some of the things I did and some of the things I used and wonder how I made any contacts at all. But I made a lot and each one of them was fun. It was nice to be fresh and new. But the longer I stuck with the hobby and the more "experience" that I got, the more complicated (and more expensive) things started to become. Bigger rigs, "better" antennas, more and more accessories. At some point, it got to be a bit overwhelming. When I got married and moved the station from my house in East Brunswick to the house here in South Plainfield is just about the time the QRP bug bit really hard. As I've stated before, I was always a QRP dabbler. 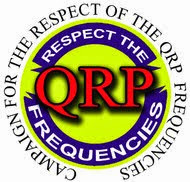 I joined QRP-ARCI back in the early 80s, when QRP was considered to be 100 Watts or less. I've had in the past, a HW-8 and a HW-9. But the desire for a simpler way of Ham Radio life manifested itself in my psyche; and I went full time "QRP only" back in 2003. For a lot, simpler is not better. The more complex, the more sophisticated the better - and that's OK. It's just not for me. Heck, maybe in my case it's more of a case that "ignorance is bliss". For a lot of years, when I was living at my parents' house I used a random length variant of this antenna, exclusively. I remember a Ham friend coming over to the garage, which had been converted into my shack. He looked at my antenna and laughed. "How can you make any contacts with that thing? ", I was asked. I just shrugged my shoulders and pointed to the QSL cards hanging on the wall. It might not have been expensive, it might not have been shiny, it might not have been commercial or complicated - but it worked. And that may have been due to my radio enthusiasm starting out as an SWL. You learn fast that all you need as short wave listening antenna is just some wire running around the perimeter of a room, tacked up high near the ceiling. I guess when I transitioned to Amateur Radio, that simplistic approach stayed with me. Also, I was licensed close enough to the "Golden Age" of Ham Radio to be enthralled by the stories of a lot of grizzled old veterans who relished in describing the stations that they cobbled together in their teen years from old radio and TV parts and such. It doesn't have to be fancy and high tech to work - and maybe that, right there, is part of the magic of it all. Propagation - she is a weird thing! After my crappy session as 80 Meter Fox the other night, I began to do what I always (irrationally) do. I began to think there MUST be something wrong with either the rig or antennas. I always seem to consider band conditions last, crazily thinking the fault has to lay with my equipment or me, somehow. Today, my stupid fears were quelled somewhat. Although the bands weren't what you'd describe as "viral" with activity, there were some stations to be heard and worked. I did manage to work LY13A on 17 Meters this morning; and on my first call at that. So if 5 Watts made it to Lithuania from New Jersey, things must be working right! For those of you who might be unfamiliar with the LY13 calls, I'll suggest a quick mosey-on-over to John AE5X's blog, where he has a post devoted to them - click here. I wasn't sure what they were all about either; but one Amateur Radio rule that I remember from my Novice days is "Work now, worry later!". Meaning, if you hear something unusual that you're not familiar with; but propagation and conditions favor you - work it while you can and figure out later who it was! I got them in the log and thanks to John, read all about it after the fact. There were also quite a few LY13 stations on 20 Meters, but they had bigger pileups that I couldn't seem to bust. Later in the afternoon, I worked K6JSS/KH6. This week is Hawaii's turn to host the K6JSS callsign for the big Golden Anniversary Celebration of QRP-ARCI. I heard KH6MX calling CQ on 21.060 MHz at 20:07 UTC. It wasn't a ragchew by any means; but I did manage to get Max to copy my callsign and the 559 report that I gave him. There was lots of QSB, but his signal did actually achieve 579 status before I QSY'ed to another band. Lastly, on 40 Meters, I managed a very short QSO with Tom Mitchell WY3H, co-founder of the North American QRP CW Club and NAQCC Number One himself! I garnered a 229 and Tom was only 449 here; but we exchanged greetings and such. Now off to make some dinner; and maybe I'll get some time to get on a little bit more tonight. 80 Meter Fox session - terrible time! Last night was my second stint as 80 Meter Fox. The session was a great disappointment to say the least. When you put out that "CQ FOX" call, you brace yourself to be hit with the cacophony of a solid wall of call signs all trying to make contact with you, the Fox. When that doesn't occur, it is a bit unnerving. When you don't get an answer to your CQs for the first five minutes of the hunt, you know it's going to be a long night. In the 90 minutes of the hunt, I handed out a little over 20 pelts. That might be a "personal worst". I was told later, that the frequency I had picked was occupied by two W5 QRO stations that were having a ragchew. Needless to say that propagation was such that both stations were unheard in NJ. Unfortunately, I was masked under the QSO to the rest of the country. I worked mainly stations from New England, the Mid Atlantic, and as far west as Illinois and Wisconsin, and as far south as Virginia. W2SH, who is about 10 miles from me as "the crow flies" gave me a 229! That's a real indication as to how bad things were last night. I originally thought that perhaps I was having antenna problems; but using the G5RV or HF9V made no difference. Bob W3BBO sent me this link: http://www.reversebeacon.net/dxsd1/?f=0&c=w2lj&t=dx, which is a "reverse beacon" listing. If you look at it, you'll see how propagation was limited to the areas I had previously mentioned. The other Fox, Jim N0UR had a grand old time. He's located in Minnesota and once again, as Bob W3BBO has preached to me over and over again, "Location, location, location". When you're situated smack dab in the (more or less) middle of the country, you have a lot more places that can possibly hear you and work you. Unless propagation improves over the next year, I'll have to seriously reconsider volunteering as a Fox during the next Winter season. Calling "CQ FOX" for 90 minutes without hardly any takers isn't really all that much fun. Although I am sure that by the time that point rolls around, that I will have totally forgotten last night and will once again sign my name on the dotted line. Navajo Code Talkers - the legacy lives on. Found this via Facebook; and while it isn't Amateur Radio related; it still deals with radio in a certain way. These brave Native Americans have done much and continue to do much to defend their country. I was sitting in the shack while it was 25 degrees outside with wind chills making it feel like it was actually in the teens. Art was sitting in his backyard, using his KX1 while it was a balmy 70F. You have to love Florida in the winter time! Art had a nice 559 signal into NJ using his QRP rig and a portable vertical antenna. As I've said so many times before - there's nothing like operating QRP from the Great Outdoors when it's sunny and beautiful outside! Tomorrow evening as the snow begins to fly, I will be engaged in my second slot as an 80 Meter QRP Fox. Hopefully the static of the snowfall won't create major QRN problems. I am listening to 80 Meters right now as I type this and the band is fairly QRN free. I hope conditions are good tomorrow. Always interested in new tools that will help me improve my code speed, I registered and played around for a while. This is a good site and will not only help you learn the code if you are new; but will help you improve your speed if you're a CW veteran. And it will keep details about your progress along the way. 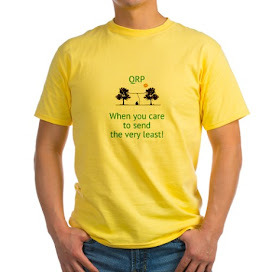 QRP - When you care send the very least! Feeling pretty good today, I managed some shack time. And does it feel good to be behind the key again! The goal today was to work Ed Hare W1RFI who was operating today as K6JSS/1 - the 50th Anniversary QRP-ARCI station from Connecticut. With about an hour to go until K6JSS changes from Connecticut to Hawaii, I managed to add Ed in the logbook. He was a good 569 on 80 Meters when I worked him; and as I am listening to him work stations as I type this, he is only getting louder. K6JSS will be "guest operated" from all 50 States during this 50th Anniversary year long celebration. It will be interesting to see how many of them I can manage to get into the log. I also worked John K1ESE on 40 Meters, while I was hunting for Ed earlier in the day. John and I have each other in our respective logbooks many, many times for all the QRP Sprints that we have participated in. It was good to hear his strong signal from Maine make it to New Jersey again. I am looking forward to getting some quality operating time in this week. This was a good way to ease into it. I am home ..... now to the radio! Well, maybe in a day or two. My doctor had informed me that my parathyroid gland was about four times normal size and that my parathyroid hormone level at the beginning of surgery was a very QRO level of 400. After the surgery, it was back down to a normal QRP range of 19! There are no real precautions other that I can't drive for a few days until I regain normal range of motion of my neck. It's going to be a nasty scar - the incision is about 6 inches long at the base of my neck under my Adam's Apple. Sorry for being graphic! I have to take calcium and Vitamin D supplements for the next year to build my bone density level back up to where it should be. Thankfully, there's not much pain to speak of expect that my throat feels very sore from having the breathing tube inserted by the anesthesiologist. Right now, it hurts to laugh and cough; but drinking and eating are not a problem. But I will be home for a week; so I plan to get some radio time in this week. Who knows, maybe I'll actually hear the Spratly DXpedition! And maybe there's a kit or two lurking in the basement that I can get a start on. Actually, I need to finish my NEQRP Club SCAF filter. This would be a good week to do that. So the prescription for next week is the "Four R's" - Relax, Rest, Read and Radio! Making good on resolutions ? Well, I hardly think that two days count; but so far I have managed to make it on the air for the first two days of the New Year, anyway. The first day was no big deal as it was Straight Key Night; but today is a bit different. In between cleaning up the house and putting gift boxes away and stuff like that, I have managed to find a few minutes of air time. The bands are very quiet; but I did manage to work Eduardo CO8LY on 30 Meters using the HF9V. I wished Ed a Happy New Year and wanted to let him know that he was a very strong 599 into New Jersey. I also spent some time on 20 Meters and worked Pete 8P9NX in Barbados. He was coming in very strongly and gave him a 599, also. I got a 499 in return, which as a veteran QRPer, will take any day of the week with a smile. Tomorrow, I go visit my "primary care physician" to get medical clearance for my surgery this coming Friday. I am hoping to spend a nice portion of my recuperation time behind the rig, killing two birds with one stone ... getting some relaxation in and some QSOs in the log book! One "resolution" that I have made for 2011 that did not appear on my posting the other night was that I have to get a new (maybe "different" would be a better word) laptop or netbook for the shack. This Dell Latitude is not bad; but it is older and won't run newer, more sophisticated logging programs well. The program I am speaking of in particular is Ham Radio Deluxe. It works great on the family computer; but is a slow as a snail stuck in molasses in January on this laptop. Whatever I get needn't be brand new; but it has to be faster than this beast.